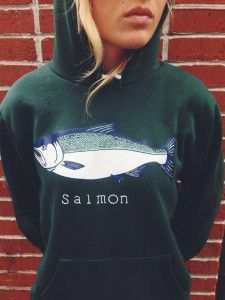 It doesn’t get much cooler than a pair of sisters who work as commercial fisherwomen in the Bering Sea during the summer, and clothing designers/business owners in the winter. 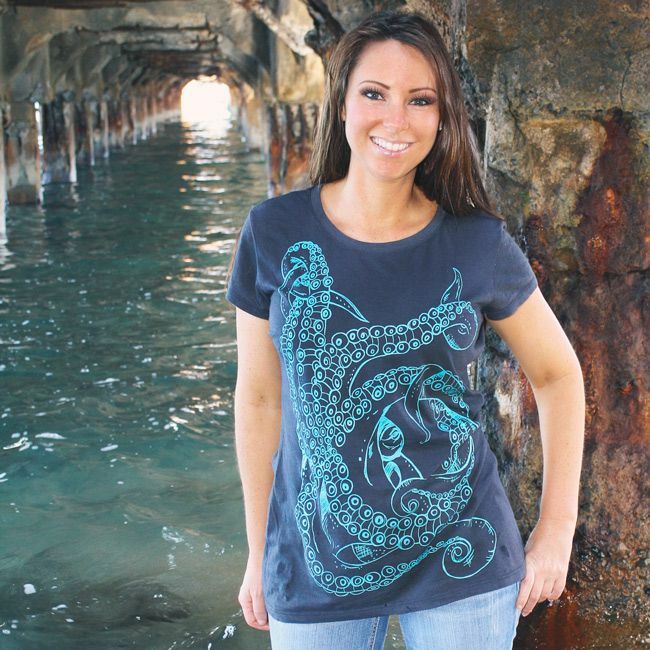 The sisters specialize in cozy sweaters and leggings as well as comfy tank tops and T-shirts, all featuring an ocean-inspired lifestyle through artistic screen-printing. The company is based out of Homer, but their clothes can be found at retailers across the state and online. For an added Alaska factor, you can purchase boxes of wild-caught salmon on their website. 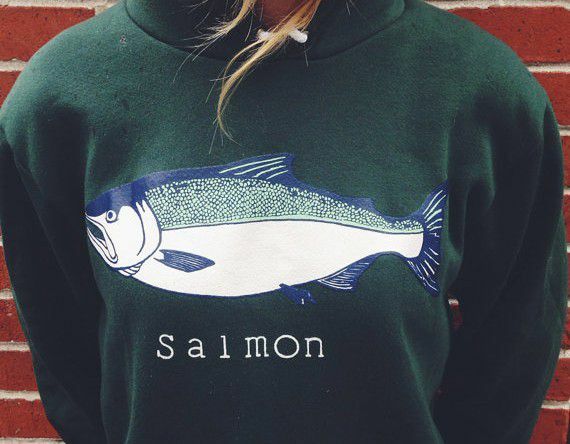 Even better, a portion of their sales supports great organizations like the Alaska Marine Conservation Council, Great Land Trust and The Salmon Project. Hulin Designs, another local favorite, creates Alaska-themed clothing by hand on a small-batch screen print. Many of the designs pay homage to iconic Alaska locations like a cross street in midtown Anchorage and a chairlift at Girdwood’s ski resort. One of the most popular designs showcases another object of state pride: good old Alaska beer. Octopus Ink is a gallery in downtown Anchorage that sells art, clothing and accessories handmade in Alaska. 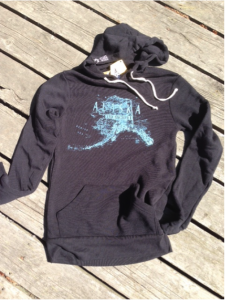 The designs are the brainchild of artist Shara Dorris, who uses printmaking to turn her drawings into wearable works of art. 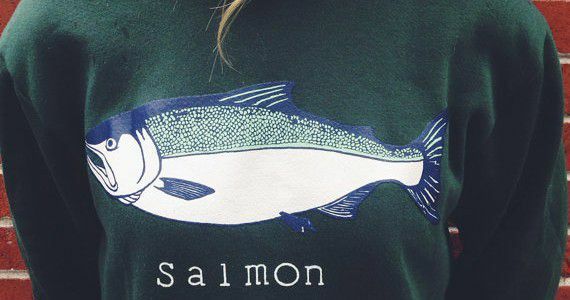 Skirts, hoodies and tees are adorned with beautiful interpretations of the state’s animals and scenery. If you can’t make it to the storefront in Anchorage, you can shop straight from Octopus Ink’s website. 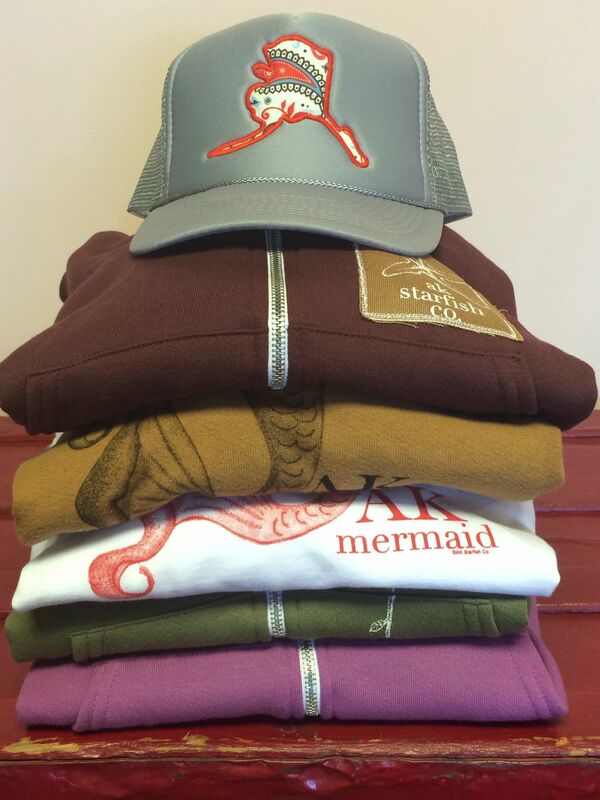 AK Starfish Company clothing is another must-have when it comes to showing off your love of Alaska. The items here showcase local art as well, featuring wildflowers, ravens, starfish and even mermaids. For a little extra flair, the logo is printed on a Carhartt patch that is sewn onto clothing and hats. The more Alaska, the better! 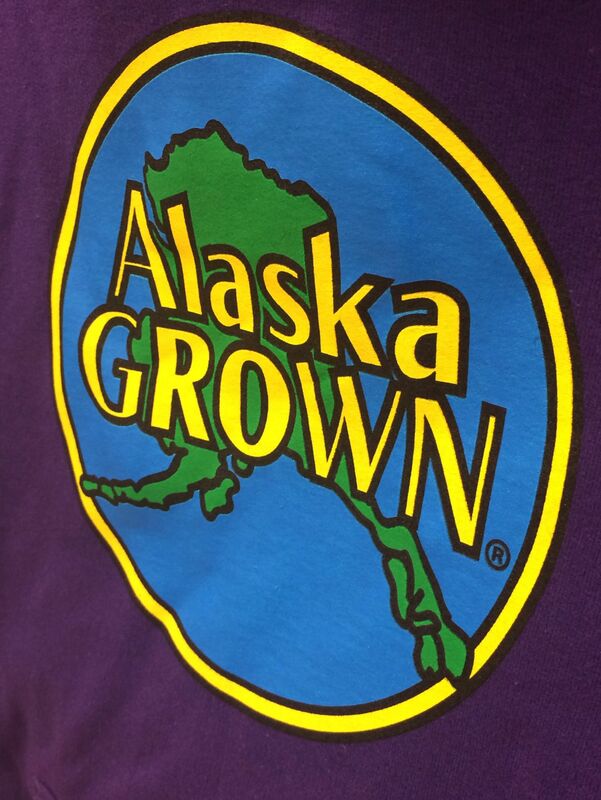 The Alaska Grown program is funded by the Alaska Division of Agriculture to promote the state’s agriculture industry. It’s not a clothing company in the traditional sense, but sweatshirts sporting the Alaska Grown logo have practically become a staple in every Alaskan’s closet. You can get your own at Alaska Mill & Feed in Anchorage or in grocery stores such as Fred Meyer across the state.